THE INFORMATION IN THIS PRESS RELEASE MAY NOT BE ANNOUNCED, PUBLISHED OR DISTRIBUTED, DIRECTLY OR INDIRECTLY, IN AUSTRALIA, HONG KONG, JAPAN, CANADA, NEW ZEALAND, SWITZERLAND, SINGAPORE, SOUTH AFRICA, SOUTH KOREA, UNITED STATES, OR IN ANY OTHER JURISDICTION WHERE THE RELEASE, PUBLICATION OR DISTRIBUTION OF THE INFORMATION WOULD NOT COMPLY WITH OR REQUIRE REGISTRATION UNDER APPLICABLE LAWS AND REGULATIONS. STOCKHOLM (15 March, 2018) Starbreeze AB (publ) (“Starbreeze” or the “Company”) announced on 24 January 2018 that the Board of Directors had decided, subject to approval at the extraordinary general meeting, to launch a rights issue of approximately SEK 150 million before issuing expenses to accelerate growth and broaden the revenue base within the core business, and to expand the game portfolio. 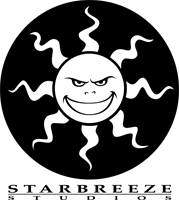 Starbreeze Board of Directors today announces the terms of the rights issue through this press release. The rights issue is subject to approval at the extraordinary general meeting which will be held 20 March 2018. Shareholders, together holding approximately 44 percent of the voting rights, are positive to the rights issue and have expressed their intention to vote in favor at the extraordinary general meeting. Those who are registered shareholders in the share register held by Euroclear Sweden AB on the record day, 22 March 2018, will have a preferential right to subscribe for new shares in proportion to the number of shares that the holder already owns. For each share held in Starbreeze one (1) subscription right of class A or class B is received. Fifteen (15) subscription rights of class A entitle to subscription of one (1) new share of class A and fifteen (15) subscription rights of class B entitle to subscription of one (1) new share of class B. In addition, investors are offered to subscribe for shares without subscription rights. If all of the new shares are not subscribed for with subscription rights, the board will decide on allotment of new shares subscribed for without subscription rights. Allotment will then be made firstly to subscribers for new shares with subscription rights, regardless of whether or not the subscriber was a shareholder on the record date, and in the case of oversubscription, pro rata to the total number of subscription rights each has exercised for subscription of new shares, and to the extent that this is not possible, by drawing of lots. Secondly, allocation shall be completed to subscribers for new shares without subscription rights, and in the case of oversubscription, pro rata to the new number of shares subscribed for in the application, and to the extent that this is not possible, by drawing of lots. The subscription price is SEK 7.50 per share, irrespective of share class. Assuming that the rights issue is fully subscribed, the share capital will be increased by a maximum of SEK 404,959.64 by a new issue of a maximum of 20,247,982 new shares, whereof 3,620,249 class A shares and 16,627,733 class B shares. Assuming full subscription, total issue proceeds amount to approximately SEK 152 million before issuing expenses. The subscription period is expected to run from and including 26 March 2018, to and including 10 April 2018, or such later date as decided by the Board of Directors. Any extension of the subscription period will be announced by the Company in a press release no later than on 10 April 2018. Class A and Class B subscription rights will be traded from and including 26 March 2018, to and including 6 April 2018. Shareholders who choose not to participate in the rights issue will have their shareholdings diluted by approximately 6.2 per cent, but are able to financially compensate for this dilution by selling their subscription rights. Last day for trading in subscription rights is 6 April 2018. The rights issue is subject to approval at the extraordinary general meeting which will be held on 20 March 2018 at 10:30 CET at Carnegie Investment Bank’s premises, Regeringsgatan 56 in Stockholm. The notice to the extraordinary general meeting was published on 15 February 2018 and is available on Starbreeze website. Shareholders, together holding approximately 44 percent of the voting rights, are positive to the rights issue and have expressed their intention to vote in favor at the extraordinary general meeting. This timetable is preliminary and may be subject to change. Carnegie Investment Bank AB is acting as financial adviser to Starbreeze and Advokatfirman Lindahl is acting as legal adviser to Starbreeze. This information is information that Starbreeze AB is obliged to make public pursuant to the EU Market Abuse Regulation. The information was submitted for publication through the agency of the contact person set out above, at 08:00 CET on 15 March 2018.